A New Year means new opportunities to explore the best video games on the market. But, maybe your current speaker system just isn’t doing the trick and you’re getting smoked by opponents. What advantage do they have that you don’t? 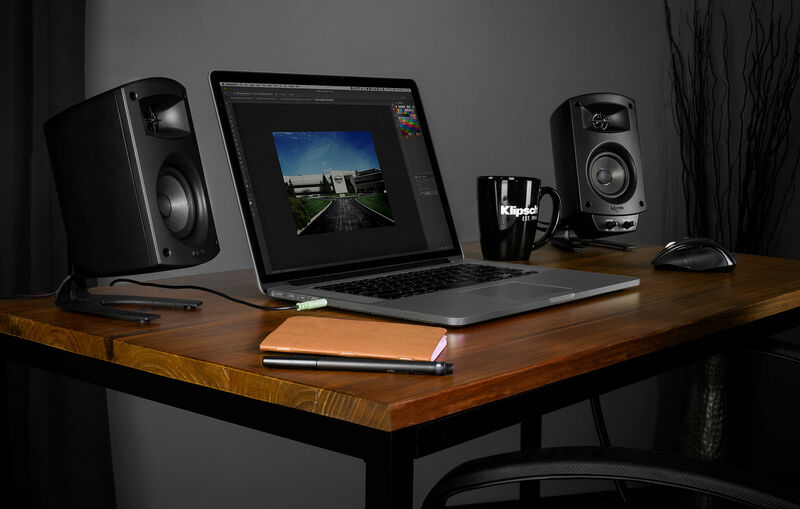 One way to slay the competition on the digital battlefield is to up your speaker game in the form of the Klipsch ProMedia 2.1 THX® Certified speaker system. These speakers will help provide the edge you need with floor-shaking, crystal-clear sound at a price you’ll love. Whether they use sound to immerse you more fully into their worlds, or intensify the level of realism, or even help you understand what’s happening around you, all of our picks offer up a sound experience you won’t soon forget. What was it like to fight during World War I? Only those who lived through that conflict could say for sure, but for the rest of us, games like Battlefield 1 are a way to snag a glimpse of that chapter of human history. With its meticulously- researched details of weapons, like rifles and tanks, Battlefield 1’s sound effects combine with stunning visuals to recreate an authentic combat environment. For those seeking award-winning realism in a game, it doesn’t get much better than this. It’s one thing to design a game set in the past, but what about one set in the future? Unlike an event such as World War I, you can’t research a history that hasn’t happened yet. Bioshock 2 gets around this limitation through its extraordinarily inventive use of sound. By blending fantastic steampunk visuals, with familiar audio cues like running water, and crackling voice recordings, the game’s sounds let us inhabit a future world while simultaneously exploring the historic artifacts that led to its creation. Few things are as terrifying as hearing the thundering footsteps of the legendary xenomorph alien brought to life by visionary director Ridley Scott from the art of H.R. Giger. When it came time to develop a game series based on this cinematic fan favorite, it had to live up to the edge-of-your-seat tension the movies delivered. Alien Isolation, one of the series’ most haunting chapters, succeeds in this mission, largely thanks to its ability to recreate most of the environment from the movie Alien. Visuals play an important role, but the game won Best Audio at the 2015 Game Developers Choice Awards for its spine-chilling soundscape. Though it looks like a first-person shooter game, Portal 2 is actually a puzzle-based. You wouldn’t think that sound would matter much in a game that has no enemies, and no vast, online, multiplayer elements, but you’d be wrong. Portal 2’s hilarious dialogue and ingenious audio cues and clues prove that great game audio is just as important when you’re using your analytical skills as it is when you’re simply fighting for survival. If Portal 2 serves as a shining example of how dialogue can add to the humor and enjoyment of a game, Mass Effect 3 is a master class in how dialogue and sound design can be critically important elements of the game mechanics itself. As an action role-playing game, the interaction between characters not only drives the plot forward, it provides key information for players. With 90 minutes of music and over 40,000 lines of dialogue, Mass Effect 3 stands out as an experience that blurs the lines between movie and video game, for something truly unique. We don’t watch video games - we play them. Everything we see and hear during gameplay has been carefully orchestrated by the game’s designers to help navigate the digital landscape while having a great time. An incredible sound experience helps place you inside a game’s world, providing the essential reactive ingredients to help immerse us into another realm. If the theory is true that a movie is 50% reliant on sound to entertain, one could argue what we hear while playing a video game is even more critical to the experience. It’s why we built our Klipsch ProMedia 2.1 THX® Certified Computer Speaker system to meet George Lucas’s original vision of high-quality sound standards.